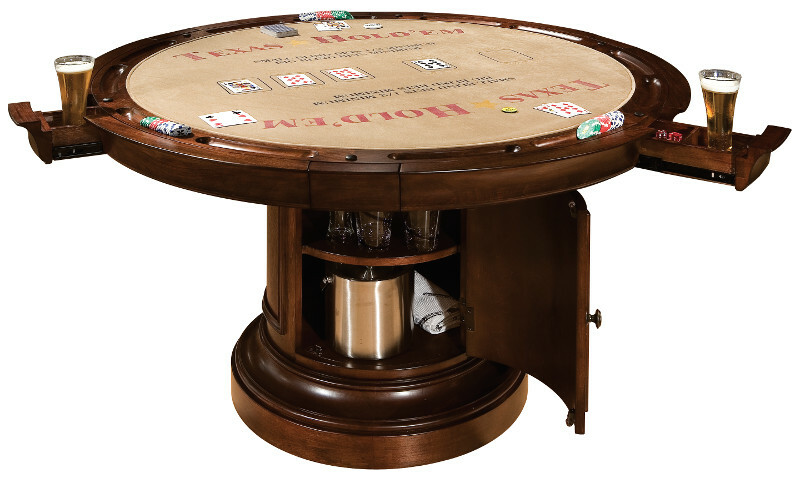 FEATURES/SPECS The only downside to owning the Ithaca poker table by Howard Miller? 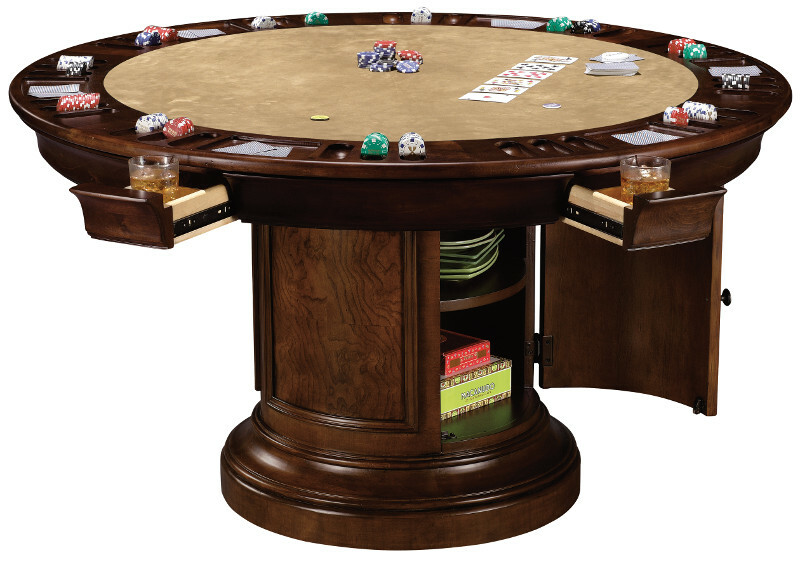 you'll never have poker night anywhere but your house again! 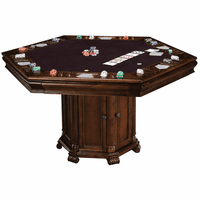 This six player poker table is made of dark, cherry finished wood with light distressing. 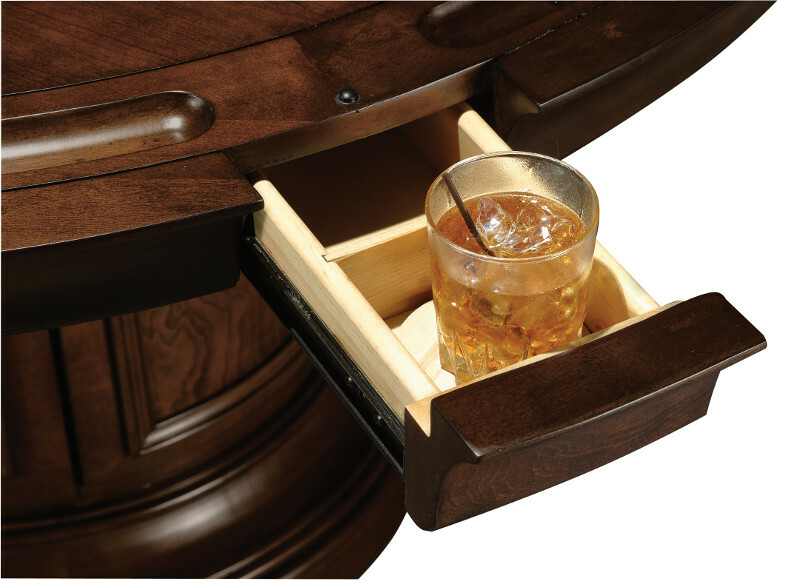 The playing surface is covered in padded tan fabric and is reversible. 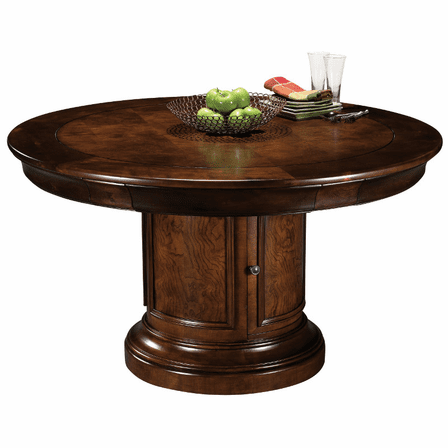 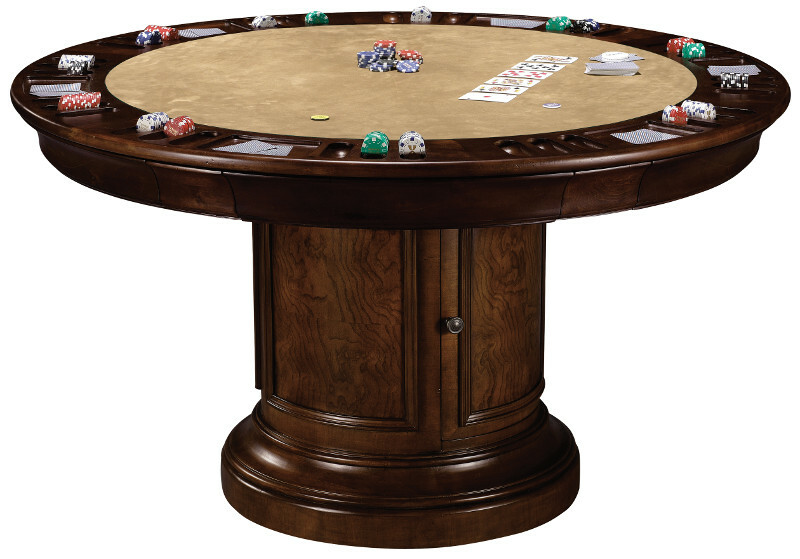 Turn it over and this poker table becomes an elegant round dining table. 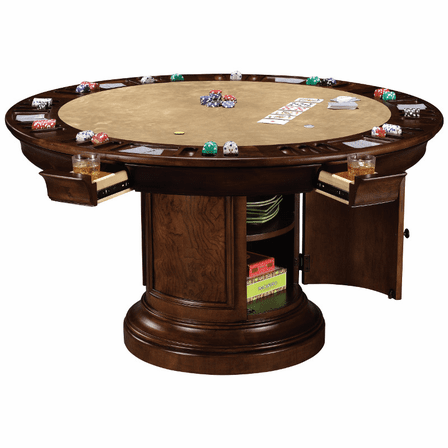 Remove it completely to reveal a Texas Hold 'Em surface. 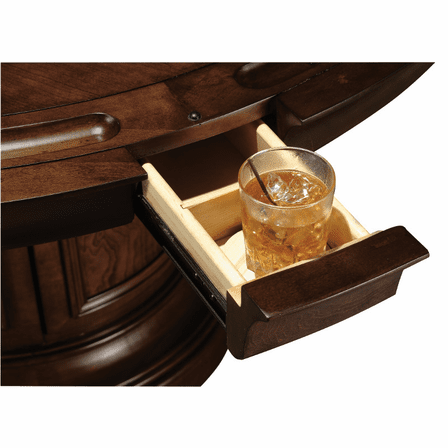 On the poker side, all six players will have their own accessory drawer, complete with a removable sandstone drink coaster. 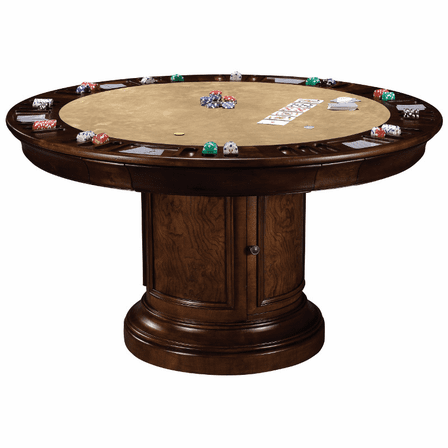 The beatifully carved round base features four panels and a storage compartement for gaming accessories. 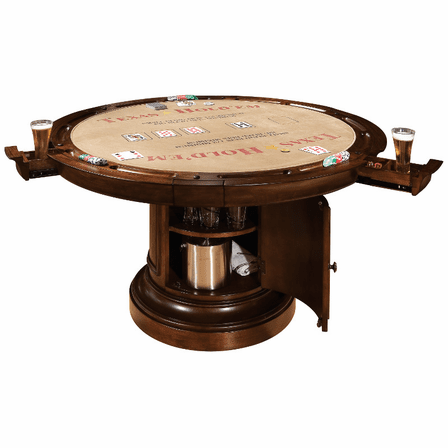 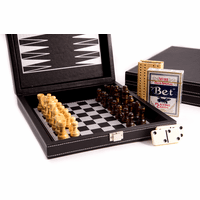 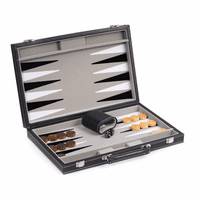 Accessories included with this poker table are a set of five hundred color poker chips, chip storage case and two decks of playing cards. 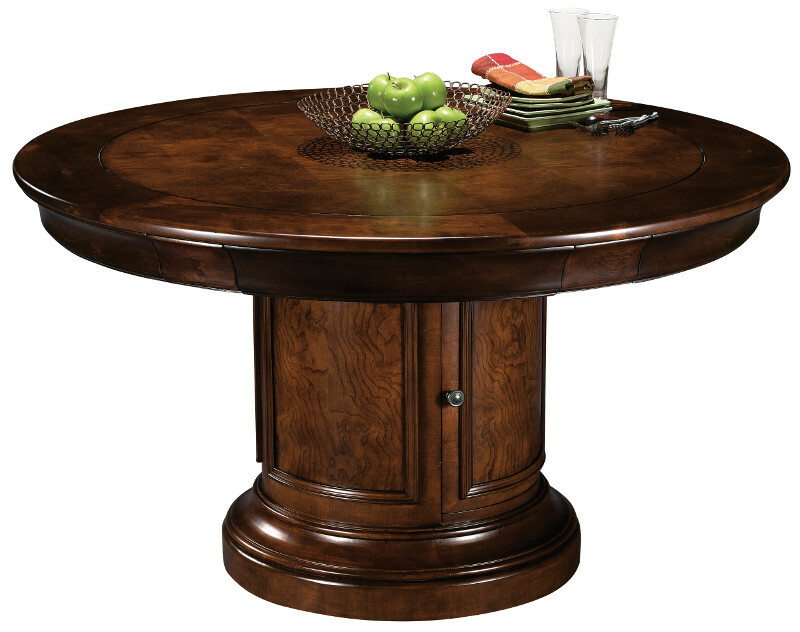 This multi-use table ships to you directly from Howard Miller via freight. 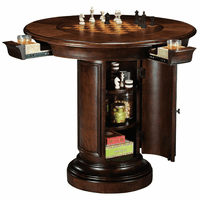 Delivery takes about four weeks, we'll call you to arrange a delivery date after your order is placed.